The SVARTPILEN 701 street explorer is free of excess and reduced to its simplest form. This bike aims to appeal to an entirely new generation of motorcycle users. It’s for those less interested in the hype and hyperbole of modern day motorcycling, who prefer a simpler, timeless design approach. Its technologically advanced, 4-stroke, single-cylinder 692.7 cc engine is housed in an incredibly stripped down layout that offers excellent performance. Although its design is inspired by the resurgence of the iconic flat track scene, this is a progressive motorcycle that doesn’t need to be pigeon-holed or categorised – it just needs to be ridden. It is so simple and obvious that just by looking at it, any freethinking rider should know exactly what it is intended to do. 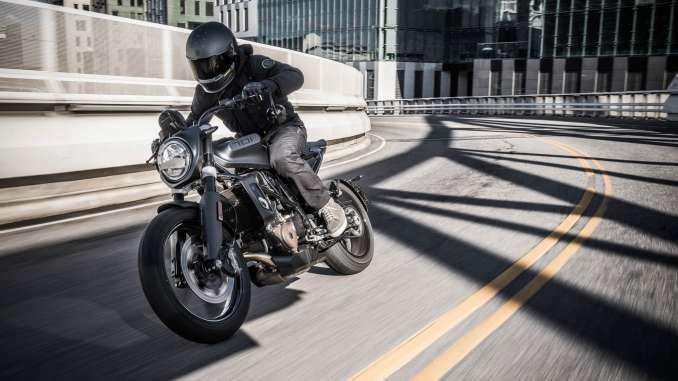 Ultimately, it’s as approachable as a motorcycle can be, it’s honest and is there to be ridden by anyone seeking to RESTART THEIR FIRE through the raw and exhilarating experience of riding a motorcycle. The intention with the SVARTPILEN 701, was to strip away all unnecessary gimmicks and create a simple, progressive mix of classic thinking and modern design. 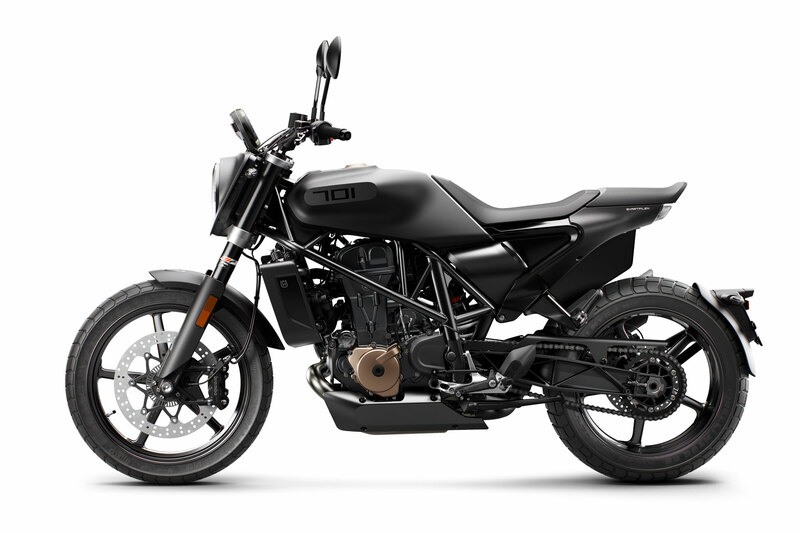 This approach is synonymous with the Swedish heritage of Husqvarna Motorcycles and can be clearly seen in the sleek, reduced look of this model. The lightweight, narrow bodywork is stylishly shaped into the SVARTPILEN 701’s overall design and allows for seamless movement while riding. The design was inspired by the raw and timeless authenticity of the flat track scene, but brought to life in a premium, modern and progressive way. The lightweight 18″ front and 17″ rear black cast alloy wheels produce minimal unsprung weight and contribute to the bikes dark, mysterious appeal. The Husqvarna Motorcycles insignia discreetly embedded into the wheel is an assurance of premium quality, strength and durability. 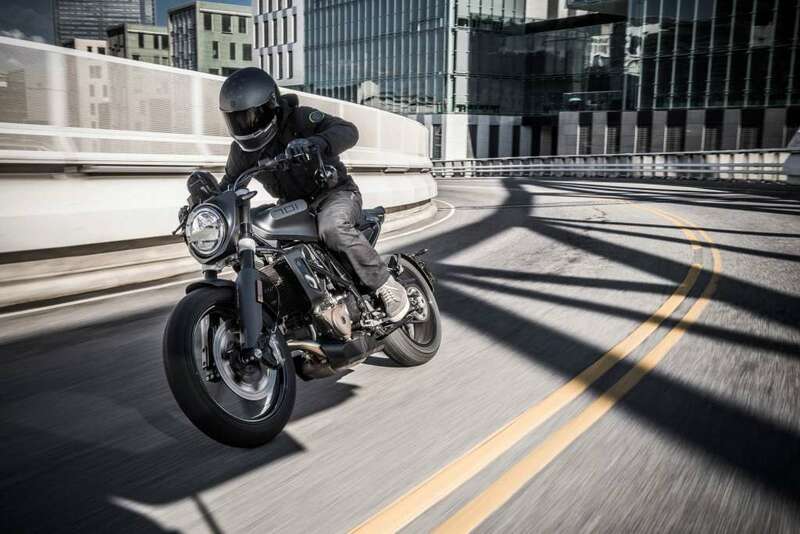 The PIRELLI MT60 RS tyres offer advanced grip and durability in a wide range of conditions, while also giving the SVARTPILEN 701 a more rugged character. The aluminium filler cap sits proudly atop the 12 L fuel tank and displays the Husqvarna Motorcycles logo as a stamp of premium quality. The tank seamlessly integrates into the overall design, and is a central focal point of the SVARTPILEN 701’s style. Its uniquely shaped profile allows the rider to move seamlessly between riding positions, while the black painted finish and subtle accents highlight its progressive design. Offroad style handlebars and risers provide a comfortable upright riding position, and a great visual perspective. The premium quality forged aluminium triple clamps are designed to ensure high levels of strength and reliability while also delivering advanced feedback and comfort to the rider. The bike’s SIMPLE. PROGRESSIVE. design means no fairings or unnecessary attachments obstruct the control zone and simply features a digital display unit with the necessary information. The lightweight trellis frame is constructed to ensure precise handling and deliver confidence in all conditions. By using high grade chromium molybdenum tubular steel, detailed feedback is transmitted to the rider through precisely engineered torsional rigidity and longitudinal flex. This guarantees advanced agility and stability, combined with perfect weight distribution and a tight turning circle, which is highly useful in urban environments. The lightweight frame is produced in an ultra-modern production plant. The laser cut components are robot welded and hydro-formed ensuring flawless precision and consistent quality. The pin jointed swingarm is made from lightweight aluminium using a gravity die-cast production process. The design offers impressive torsional rigidity and strength for advanced tractability and stability. Produced by WP suspension, the USD 43 mm front forks deliver advanced performance and comfort in varying urban environments. Using a split damping function, compression and rebound can be adjusted effortlessly using the easy access clickers located on the top of the fork tube. This allows the rider to personalise the ride characteristics for preference and varying conditions. Connected via a linkage system, the WP monoshock delivers outstanding progression for an agile and comfortable ride. Fully adjustable for rebound and compression, the shock can be tailored to suite a variety of urban conditions. The forged triple clamps are a mark of the premium quality that comes as standard on the SVARTPILEN 701. Crafted using lightweight aluminium, the triple clamps are designed with a specific rigidity to ensure high levels of strength and reliability while also delivering advanced feedback and comfort to the rider. Offroad style handlebars are mounted to the upper triple clamp using risers. The handlebars not only offer an upright riding position but are also key to the design and riding style of SVARTPILEN 701. The SVARTPILEN 701 uses a flat track inspired design, stripped to the essentials for a unique and authentic style. The bodywork ensures the perfect fit between rider and motorcycle and is highlighted with quality painted finishes. Integrated into the bodywork is a key design feature “the split”. This comprises of a division running between the main frame and subframe. This unique detail, along with the flat track inspired side panel, further showcases Husqvarna´s pioneering design direction. A focal point of the SVARTPILEN 701, the 12-litre fuel tank is housed by a unique cover design distinguishing the tone of the SVARTPILEN style. Added to the design is a premium tank filler cap including machined Husqvarna insignia. The low profile seat fits sleekly into the overall design and is covered using a mixture of high quality materials that deliver superior comfort and durability. Concealed within the framework, the exhaust system features a pre-silencer and final silencer layout. 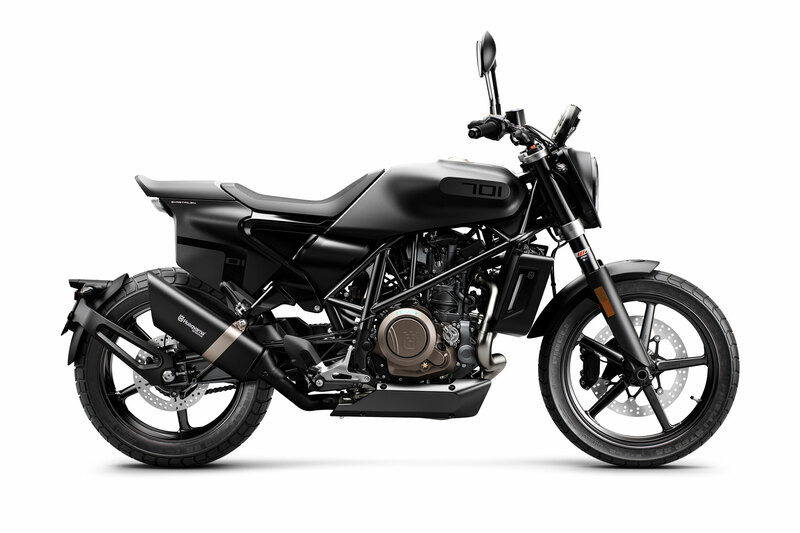 The exhaust system ensures the SVARTPILEN 701 meets strict EURO IV emission regulations. The lightweight 18” front and 17” rear cast alloy wheels ensure high levels of strength and durability with minimal unsprung weight. The Husqvarna logo is discreetly embedded into the wheel, highlighting the attention to details on the SVARTPILEN 701. Fitted to the wheels are Pirelli MT60 RS tyres – 110/80-18 front and 160/60-17 rear. The tyres offer advanced grip and durability in a wide range of conditions while also giving the SVARTPILEN 701 a rugged urban look. The highest standard of braking performance is delivered by the standard Brembo braking system. This features a four-piston calliper, Ø 320 mm floating disc at the front, and a single piston calliper, Ø 240 mm at the rear. Additionally, the standard Bosch ABS system prevents wheel lock up under hard braking and can be fully de-activated for more advanced riders. Nestled into the front headlight mask, the premium LED headlight conveys an unmistakable look. Added to the component is a day time running light, which circles the circumference of the headlight making the SVARTPILEN 701 clearly visible in all conditions. The LED tail light is integrated within the bodywork. This, together with the swingarm mounted license plate and turn signals, give the rear end a clean, uninterrupted look. The 692.7cc, single overhead cam, liquid cooled, single cylinder engine features the latest technology in terms of design and electronics. Maximum power output of 55 kW (75 hp) at 8,500 rpm and torque of 72.0 Nm at 6,750 rpm are outstanding figures that leave riders in no doubt of the performance potential of this single cylinder masterpiece. The extremely lightweight engine weighs only 43.4 kg without oil but including all components such as electric start, throttle body, clutch and coolant lines. Reliability, durability and efficiency are guaranteed by technical solutions such as active crankcase evacuation and forced lubrication. This reduces oil friction and pump losses and contributs to the long 10,000 km service intervals and extremely low fuel consumption – lowering the cost of ownership of this class-leading single cylinder power plant. A smooth power delivery is guaranteed thanks to the state-of-the-art four-valve cylinder head and twin spark ignition. The single overhead camshaft acts directly on the 42 mm intake valves via finger followers while the 34 mm exhaust valves are actuated by a rocker arm that delivers exact valve timing at higher engine speeds. Additionally, a counter balancer shaft is integrated to reduce vibration for a smooth and comfortable ride. The crankshaft features an 80 mm stroke and runs on a roller bearing main bearing to ensure long service intervals and reliability. To increase comfort and reduce vibrations a second counter balancer shaft is added, reducing inertia forces for a smoother ride. The plain bearing type connecting rod is connected to the large bore 105 mm piston through a DLC (diamond like carbon) coated piston pin. This, along with the aluminium and silicon alloy piston material, makes for a high strength and wear-resistant combination reliable even at the 9000rpm limit. The Keihin electronic fuel injection features a 50 mm throttle body that has no mechanical linkage to the throttle grip. As the rider twists the throttle open or closed, the throttle valve is electronically controlled by the engine management system (EMS) that continuously compares engine parameters with data from sensors, and adjusts the throttle valve accordingly, resulting in perfect power delivery and throttle response. Additionally an intake resonator also improves the intake charge movement and as a result improves throttle response and ride-ability specifically at small throttle valve positions. The APTC (Adler Power Torque Control) slipper clutch by Adler allows for greater stability entering and exiting corners by maximising rear wheel grip under hard acceleration. In addition it prevents rear wheel hopping when braking hard into a turn, for maximum control and smooth down-shifting. The Magura hydraulic system guarantees perfect clutch action. A 6 speed gearbox ensures smooth and precise shifting, giving riders perfect control and confidence in all conditions. For added convenience in urban environments, the gearbox is linked to an easy shift sensor, which allows the rider to make seamless up and down shifts without the use of the clutch. 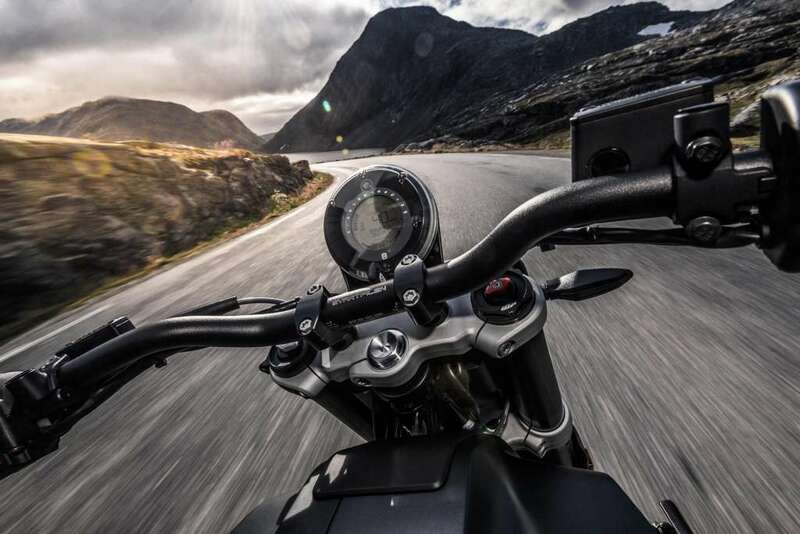 The sensor works by relaying the moment the rider actuates the gear lever to the ECU, which in turn matches engine parameters to allow a simple gear change at any RPM or engine load. 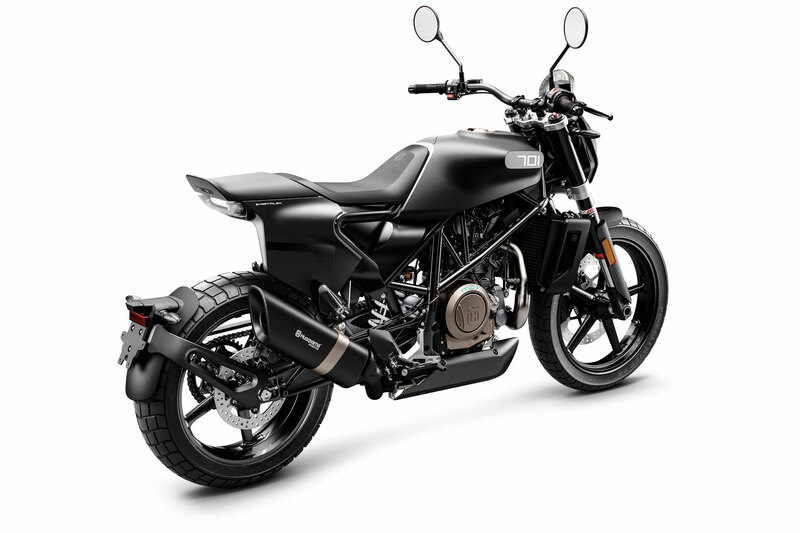 With the specific A2 engine map that limits power to 33 kW, the SVARTPILEN 701 can be ridden by A2 licence holders.